How Can a Whiteboard Explainer Video Help Your Company? Video content is one of the best marketing tools at your disposal in 2018. Whether you focus on YouTube, Facebook or create videos exclusively for your blog, this type of media can easily draw the attention you need. Unfortunately, simple videos will not always work. The style, quality, technology, and voice actor used as well as needs of your audience can have a great impact on conversion. With that, we come to whiteboard animation. These animations are a creative way to captivate your viewers. Let’s learn more about a relatively new animated form and how companies can benefit from it. Before I mention all the benefits of making whiteboard animations, it is necessary to talk about a particular misconception. A lot of people think that explainer videos and whiteboard animation videos are one and the same. This makes sense to an extent because sometimes, an explainer can be done with a whiteboard animation. Explainers are short-form videos lasting for a few minutes. They are used to define a term or to present an idea, a product or a service. Basically, they are catchy and brief. Based on that, explainers cover a much wider category. People often call such videos whiteboard videos. But always keep in mind that this name mainly refers to the animation type that is being used. Although this name isn’t incorrect, it doesn’t mean that every whiteboard video is an explainer video. With that in mind, I’ll be mainly talking about explainer videos made with a whiteboard animation style in this article. 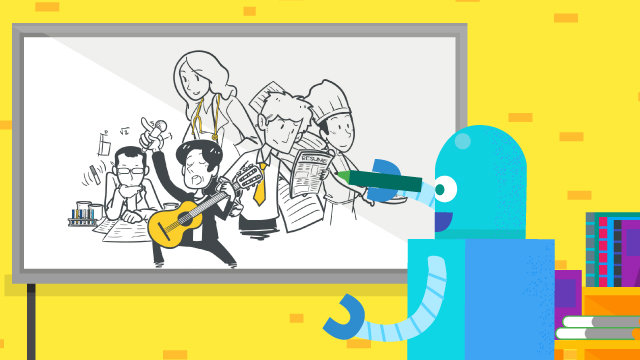 Whiteboard explainer videos are a marketing tool that can show people a fun side of your company. They allow you to tell a story and share ideas which would be impossible with a regular video. Viewers are simply drawn to them which ensures high conversion. The full process is not free; it costs around $1500 for the first minute if you go for a professional service. Still, it isn’t that much given the potential benefits. They can help you create long-lasting contact with your audience and clients as viewers tend to react more frequently to such content. It’s relatively easy to create a whiteboard explainer video compared to other styles such as motion graphics or cut-out animation. It also doesn’t take too much time if you know how to draw. Needless to say, if you have an animation team, you can do it in-house. These animations are done by hand which means you won’t need special education or training. Still, whiteboard animation software and basic resources can be expensive. This is why it might be worth considering other options such as hiring whiteboard animation and design services. So, how much does it actually cost? While you can find a tripod, a whiteboard and lighting rather cheap, buying a good animated video camera can be an issue. Ideally, you should invest a bit more just to be sure of its quality. In the end, if you’re willing to create whiteboard videos yourself, you need to think long term. You also have to add the cost of software. There are a lot of programs you can quickly and easily download online such as Adobe After Effects or VideoScribe, both starting from $20 per month. These initial costs (especially the video camera) can prevent you from creating such videos. On the other hand, if you have all the necessary resources, it can be easier to start making whiteboard animations in-house. Lastly, I need to mention the invested time. Depending on how many people from your company intend to work on these animations, the cost can increase or decrease. Similarly, their average wage comes into account. When you sum up all these costs, it might turn out that hiring a professional animation company is cheaper and more efficient. How does a whiteboard explainer video help your digital marketing and SEO? So far you’ve probably realized that these videos are rather unique. Even if you’re creating clips on a regular basis, a whiteboard explainer video can provide something different. Their main advantage is that they’re plain. In this day and age, where everything can be perceived as offensive, whiteboard animation videos are rather straightforward and simple. Their short format forces you to get to the point, avoiding anything that can be seen as negative. Instead, you’ll focus on facts within your text. While sophisticated animation uses visual solutions to attract viewers, a whiteboard explainer video has enough visual appeal to attract people and yet, it focuses on the message and actionable solutions. This makes it an ideal solution for complex and boring topics. In which industries can whiteboard videos be used? Even though there are many benefits to using this content, it isn’t ideal for every industry. Based on this list it is easy to tell that whiteboard videos are best used for complex topics. The white background allows you a better view of things. In a sense, it can be used as a virtual classroom. This is precisely why it is commonly used for educational resources regardless of industry. or any other industry where colors and visual appearance are important. It is true that whiteboard animation videos can still be used in these industries but only to an extent. They shouldn’t be a focal point as your audience will require something else in order to feel engaged. With that being said, they can be used in almost any field as long as you’re using them for educational content. You can also use them to present your products and services if you package your content correctly. Although it seems that whiteboard animations are rather straightforward and have limited usefulness, you can experiment a lot with them. Their short form, focus on detail and story makes them an ideal marketing tool for your company. You might feel that some other type of content will be better suited to promoting your products and services (due to better visual appeal) only to discover that whiteboard videos are better. They are more likely to become popular, quickly drawing users’ focus and keeping it for the whole duration of the clip. Whiteboard animation is the type of content that tells people “Hey look at me!” and through its simplicity, manages to grab an audience’s attention and retain it until the end.